Below is a letter that Podanys didn't even have the courage to send to me in response to my problems with them. 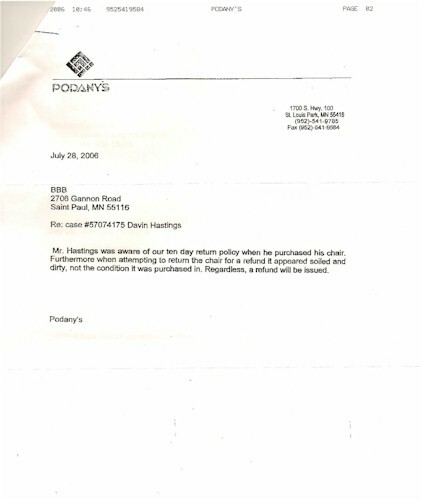 I had to learn about this lying letter from the MN state attorney general. The below letter contains 2 lies and an open indicator of the cowardly nature of the people that work for Podanys. They sold me defective merchandise and were unwilling to open one other product to see if it was better because, and I quote, "What if I open 40 boxes and none of them work?" That doesn't exactly inspire confidence in their products or integrity, does it?